I studied the accordion under Carmelo Abela. I used to participate in Christmas processions organised by the Christian doctrine society MUSEUM playing the accordion together with others. Recently, also during Christmas time, I played the accordion in front of the Pietà chapel to raise awareness of the fact that the chapel needed restoration, especially of the basso relief of St John the Baptist. 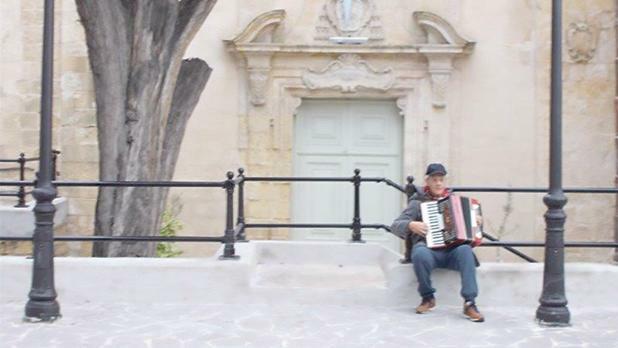 I take this opportunity to inform accordionists from Malta and Gozo I plan to publish a book on the history of the accordion (piano accordion –chromatic – concertina) in these islands to be used also as a directory of living accordionists. I will, therefore, be pleased if any information can be sent to me at PO Box 16, Msida.